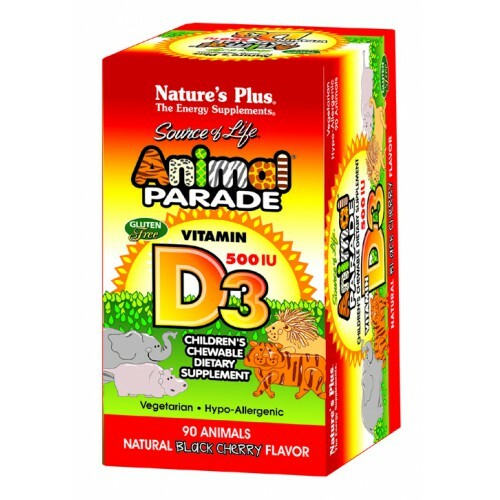 Animal Parade Children's Chewable Vitamin D3 500 IU has a delicious black cherry flavor and fun animal shapes children love. 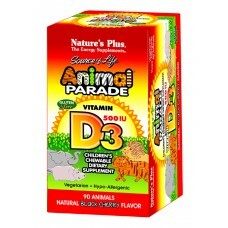 Children's need for vitamin D has never been greater. Use of sunblock and sunscreen, as well as indoor activities such as video games and movies on demand, have sharply reduced children's exposure to the sun, their natural means of producing vitamin D-in particular the bioavailable active form vitamin D3-for optimal growth and long term health.